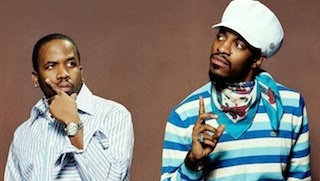 Outkast have confirmed they will be playing over 40 festivals worldwide in 2014. Besides their appearances confirmed at Coachella and the New York City's Governors Ball, no other dates have been revealed at this time. A statement from the duo can be found below. "It's truly an honor to celebrate 20 years and still be free to do music the way we choose," Big Boi said in a statement. "I'm looking forward to rocking the stage with my Bro Ski and to all the fans, stank you smelly much. This is for y'all!" "And imagine, all we wanted to do was rap," said André 3000. "I am thankful to have been a part of a group that allowed me to explore anything that came to mind and have fun doing it. Returning to the stage together is the most exciting way for us to thank everyone for their 20 years of supporting Outkast."